The good news on the streets is that Hitec has recently reduced the prices of some their most popular, celebrated servos! Pilots can get the same exceptional quality, performance and customer service they expect and save some dough at the same time! 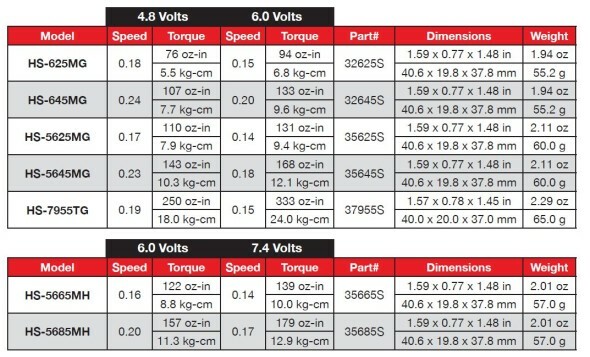 Servo models include the HS-7955TG, HS-5645MG, HS-5625MG, HS-645MG, HS-625MG, HS-5665MH, and HS-5685MH.